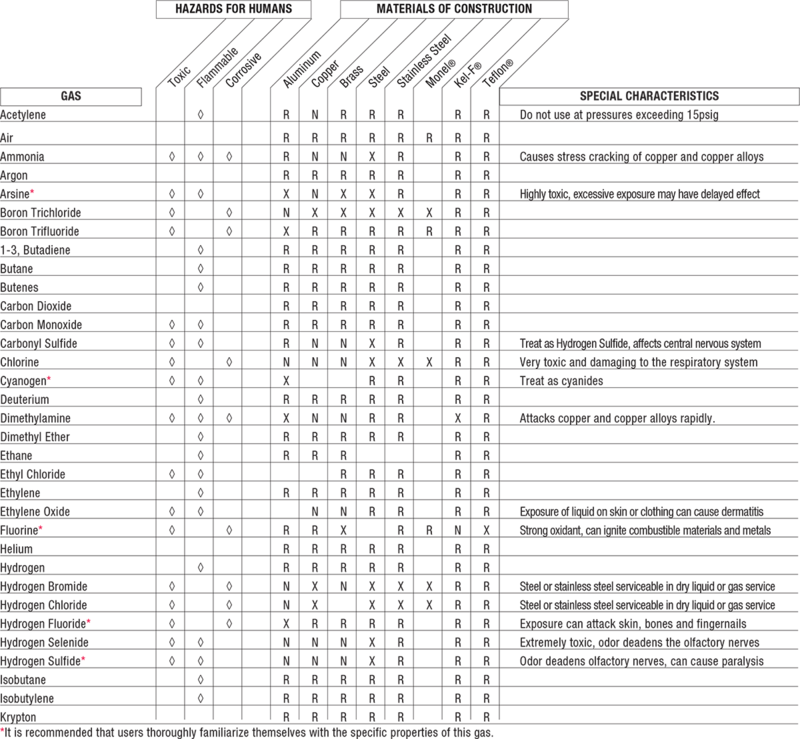 This data has been compiled from the best information available and is offered as a guide to proper material selection. The data presented are generalized for average conditions of temperature and pressure. The user should always investigate the characteristics of the gas being handled and take all the proper precautions. Our technical staff will be pleased to give free advice and technical information on any gas or chemical product of interest.